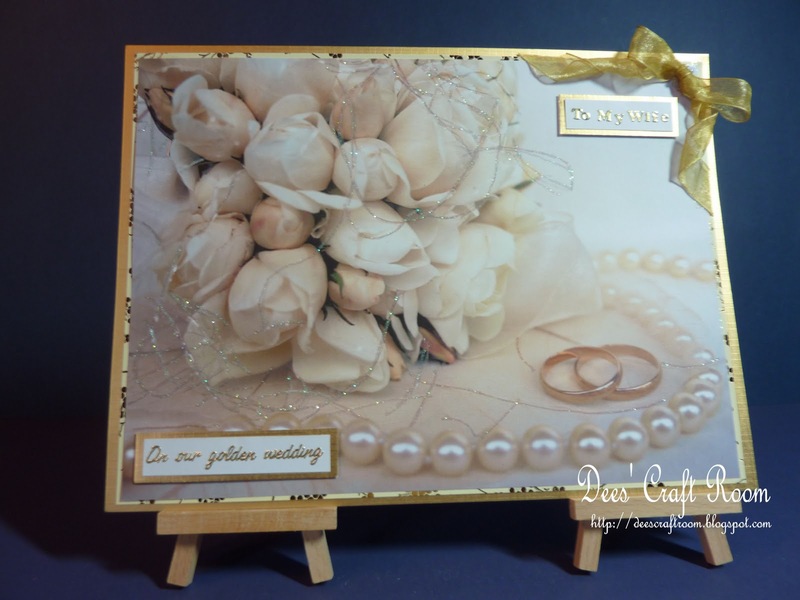 A good friend recently asked me if I could make her a couple of cards for her parent's Golden Wedding Anniversary. 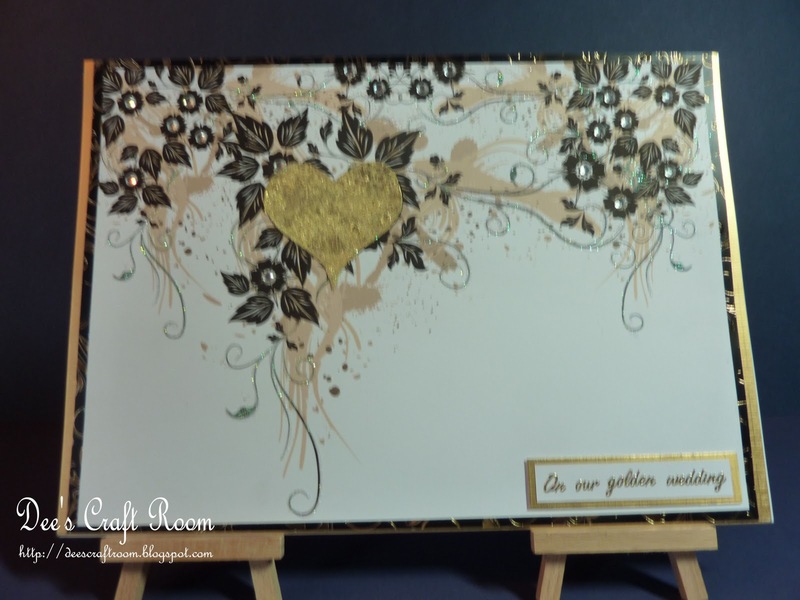 All of these stunning images came from the Polka Doodles Love and Cherish CD. I printed two copies of each image and cut around the heart from one of the images before gilding it. 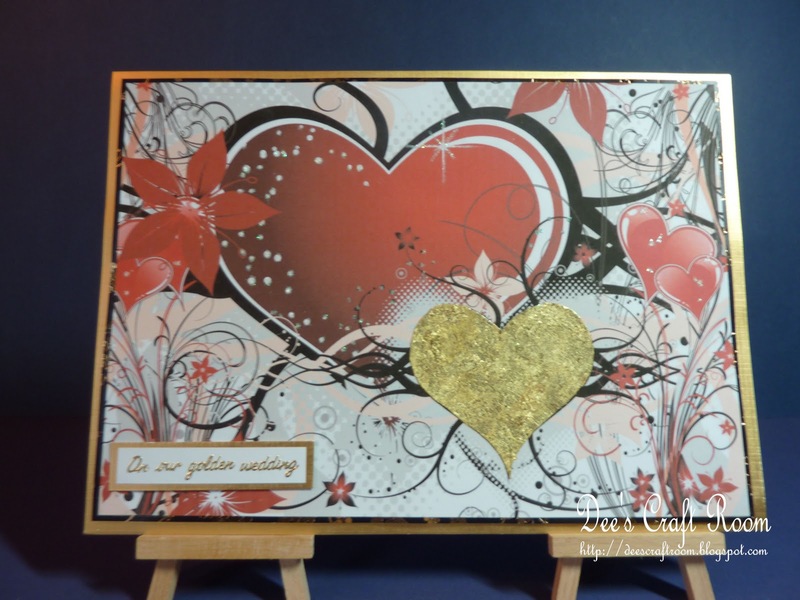 Once the heart was glued into place on the second image I embellished the cards with an assortment of ribbon, flat backed gems and glitter. The images were mounted onto Hunkydory mirri card. I was a little more adventurous making this card. I used a sheet of Claritystamp double sided adhesive and the stamp is PSX Country Church/Chapel K-1912. Stamping the image of the church on one side of the sheet of double sided adhesive and left it to dry. Once dry, I covered the image with a sheet of acetate. Turning the sheet over, I carefully cut out the image of the church using my craft knife. 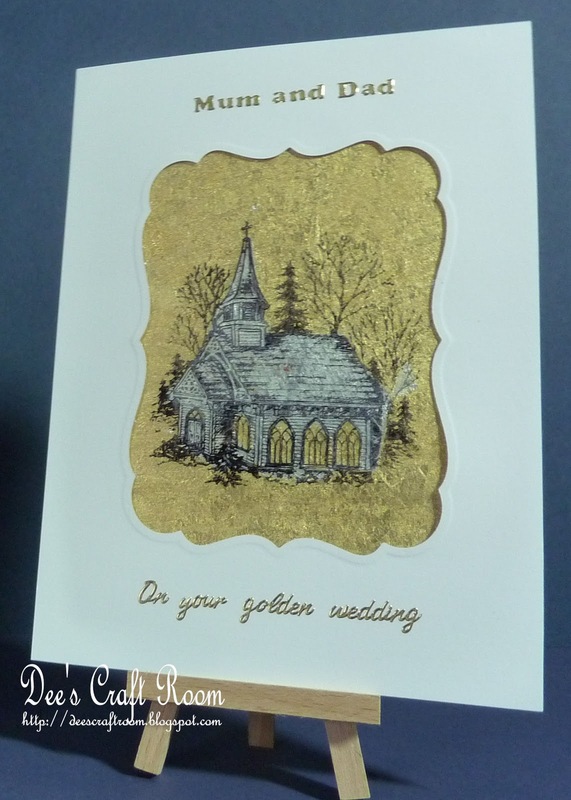 I removed the church section from the backing sheet (taking care to leave the paper covering the windows in place) and covered the exposed area with silver gilding flakes. 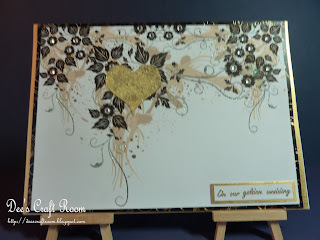 Once this was done I was able to remove the rest of the backing paper and cover the remaining area with gold gilding flakes. I used a Nestability die to cut an aperture into the mount. I hope her parents have a wonderful anniversary later this month. You are truly blessed with an amazing talent!! Your creations are far more than mere cards, but are true works of art! The passion you have for your craft can be seen in all the meticulous details and the touches of love you put into each item you create. I can see why your friend took them all, as each one is a masterpiece...I envision them being framed and displayed for all to admire. oh Dionne, such STUNNING artwork!!! I can see why she wanted all of them! You have a beautiful gift of creativity!